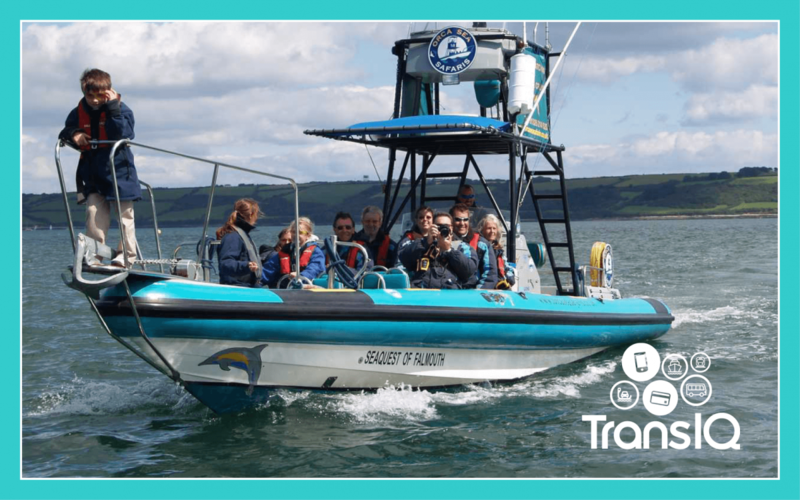 Orca Sea Safaris run wildlife tours from Falmouth in Cornwall. 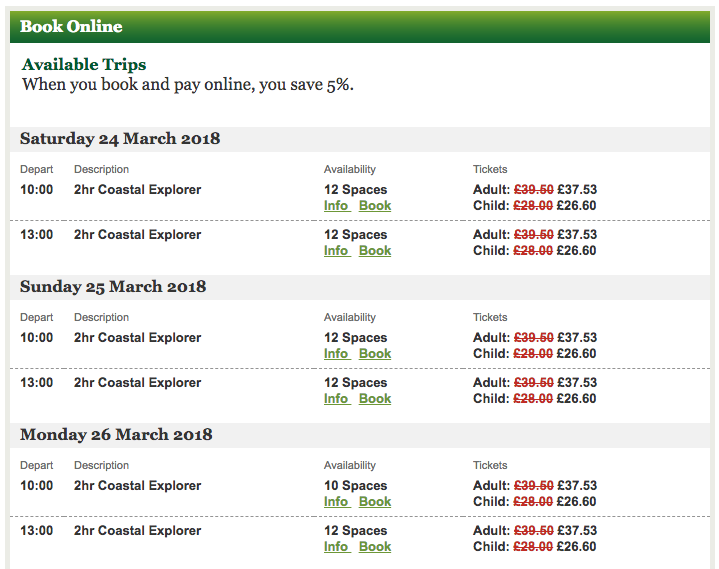 We built an online booking system that allows customers to book places on individual trips or to request that a trip be run on a specific date. Both manual and automatic discounts can be applied, based on occupancy and the date. This system integrates with the SagePay online payment system, with customer and admin receiving branded notifications by email. Agent accounting is also supported.